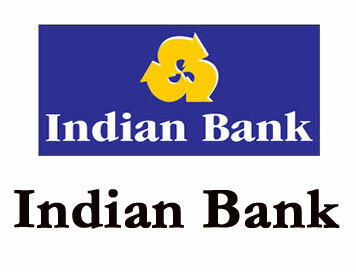 Indian Bank invites application from young and bright graduates who fulfill the eligibility criteria specified and who are interested in Banking career, for admission to the one year Post Graduate Diploma in Banking and Finance (PGDBF) course at Indian Bank Manipal School of Banking (IBMSB), which has been set up jointly by Indian Bank and Manipal Global Education Service Pvt Ltd. Applications have to be submitted online from 01.08.2018 and not later than 27.08.2018. No other mode of application will be accepted other than online applications. Candidates should select the ―Careers‖ page in Bank’s official website and open the link ―RECRUITMENT OF PROBATIONARY OFFICERS THROUGH ON BOARDING‖ and click on ―APPLY ONLINE FOR PO ON BOARDING‖. 2. Candidates should click on ―NEW REGISTRATION‖ tab to register their application by entering their basic information in the online application form. Candidates are advised to carefully fill in the online application themselves as no change in any of the data filled in the online application will be possible/ entertained. 3. Candidates are required to upload their photograph and signature as per the specifications given in the Guidelines for Scanning and Upload of Photograph and Signature (Annexure). 4. The name of the candidate or his /her father/ spouse etc. should be spelt correctly in the application as it appears in the certificates/mark sheets/ other documents. Variation if any with the originals cannot be corrected later and will also disqualify the candidature. 5. In case the candidate is unable to fill in the application form in one go, he/ she can save the data already entered. For the first time when the data is entered and saved, a provisional registration number and password will be generated by the system and displayed on the screen. Candidate should note down the Provisional registration number and password. An Email & SMS indicating the Provisional Registration number and Password will also be sent to the candidate. They can reopen the saved data using Provisional registration number and password and edit the particulars till the Date of Edit/Modification of application mentioned in the advertisement. This facility will be available for three times only. Once the application is filled in completely, candidate should submit the data. Candidates will be selected by Indian Bank through a selection process consisting of an online test (Preliminary and Main Examination) followed by Interview. The selection process aims at getting candidates who are likely to succeed at various roles in the Bank. The endeavor is to select candidates who are bright, have good communication skills (both oral and written), are dedicated, can work effectively in teams, are passionate about their career goals and who display integrity and a positive attitude.